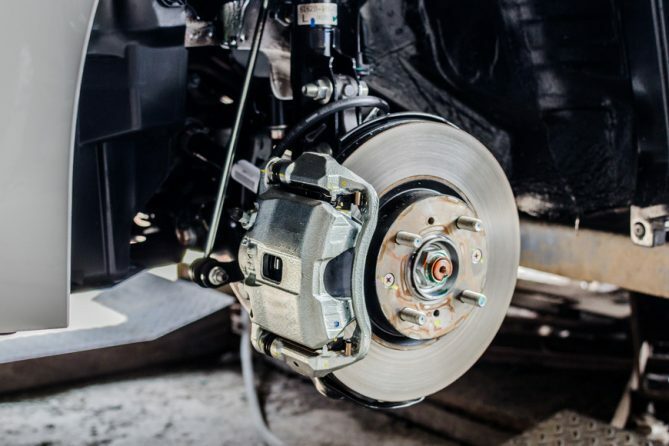 In a disc brake system, rotors are attached to your vehicle’s wheels. When the brake pads grip the rotor, they bring both the rotor and wheels to a stop. However, the friction causes grooves and cracks to appear over time. Replacing worn,warped or rusty rotors will make braking distance shorter, smoother and reduce squealing and wobbling. Paul’s Motor Car Service will give your rotors a thorough inspection and recommend your best course of action. The brake caliper houses your brake pads and fits around the rotor like a clamp, pressing the pads against the rotor when you brake. A brake caliper problem could cause uneven braking, making your car slide forward when you brake. Uneven braking can also cause your vehicle to slide out of control in bad weather conditions, so contact Paul’s Motor Car as soon as possible. Brake fluid will absorb water from the air over time, causing the brake system to become less effective and the fluid to become corrosive, possibly damaging the system. It is important to perform a brake fluid flush regularly to ensure that your vehicle is using fresh fluid. 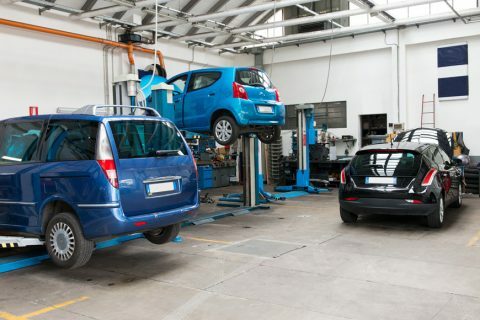 Talk to our technicians about when it’s time for a brake fluid flush. Anti-lock Brake Systems (ABS) ensure that the wheels don’t stop rotating during braking, preventing the car from skidding and offering greater control. If your ABS light comes on, visit Paul’s where we will be happy to diagnose and fix the problem. Look at some of the brakes that come into shops. Imagine this car riding behind you at 50 mph. Imagine it coming toward you at 55mph on a 2 lane highway. Scary thought. Fortunately You will rarely see that on cars from PA. Rusty rotors fail State inspection way before they ever look like the pictures below. Now states like Ohio with no Safety Inspection Program… That is a different story. Think about those pictures below next time you have to have your car inspected!